In one of the first moves to begin the Future Blues campaign, rowers from both Oxford and Cambridge’s squads made the trip down the river to Fulham Reach Boat Club to spend time with budding young athletes from a state school in Kensington ahead of The Cancer Research UK Boat Race 2018. 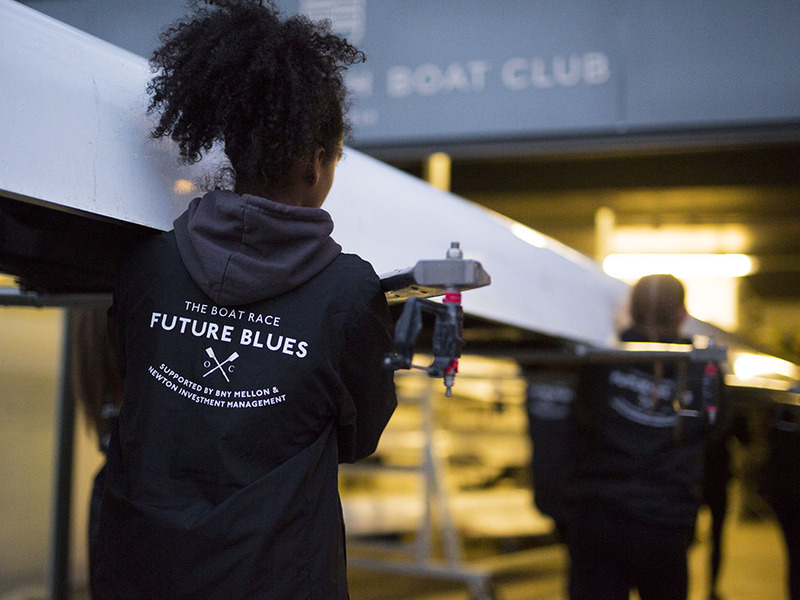 The Future Blues campaign, which launched at the Crew Announcement in February, aims to improve access to rowing for state-school children across the boroughs which border The Boat Race course. The inspirational nature of The Boat Race, with competitors excelling in both academic and sporting disciplines, means that a wider proportion of the next generation should be given their chance to feature in one of the UK’s oldest Varsity rivalries.